Last year 59% of marketers considered email to be the most effective channel to generate the highest revenue. So how can you tell how effective your emails are? Your click-through rate. Before we go any further, it’s important to understand how your click-through rate compares with the industry standard. Take a look at this helpful chart from Constant Contact. You need a subject line that gives the customer immediate value. 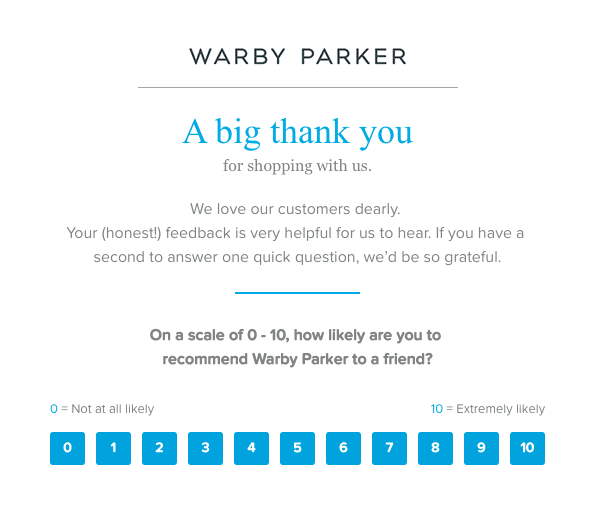 This is the first impression your customers get (so don’t blow it). Studies show that 47% of email recipients decide if they are going to open the email based on the subject line alone. If you want to improve your click-through rate, you’ve got to improve the chances that your customer will open your email to begin with. Make it succinct and create a sense of urgency or intrigue that your customers can’t help but click. 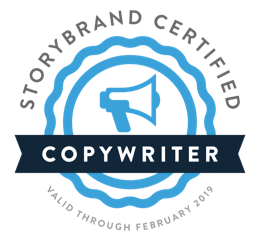 A great book that offers help on headlines and email content is How to Write Copy That Sells: The Step-By-Step System for More Sales, to More Customers, More Often. Once your potential customer opens your email, what is the goal? Is it inform your customers of a sale? Is it to remind your customer of an abandoned cart? State the problem that your customer is going through. Make sure the customer knows that you or your product solves this problem. Then make the intent obvious — call the customer to action. Ask for the sale! This study by Campaign Monitor shows how a simple redesign led to 127% increase in click-through rate. They did this by making their call to action much more prominent and putting a fresh spin on outdated design elements. And guess what? These changes only took 30 minutes. In this study from Biz Report, 80% of users deleted an email if it didn’t “look good.” Your customers are savvy to good web design. If you don’t live up to their design expectations, you run the risk of a fast delete. Or worse, an unsubscribe. We touched on this in our product page design guide and the same rule applies to email marketing. Videos and pictures help to capture your customers’ attention and make them interested in what you have to offer. 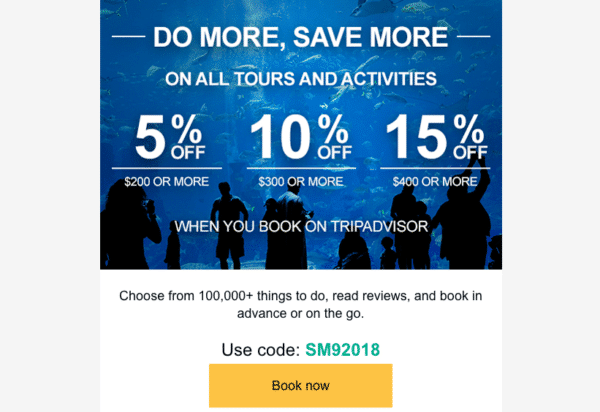 This email below from TripAdvisor uses imagery to capture the customer’s attention and drive them to the call to action. *Tip: Images may not load for all of your customers. Be sure to include any pertinent information in text form. A study by Whirlpool showed a 42% increase in clicks by creating a single, clear call to action. You never want to leave your customers guessing whether that little text block at the bottom of the page is what action they need to take. Make that CTA big and surround the text with a button. We also suggest using a color that stands out from the rest of your email design. Take a look at the email below. 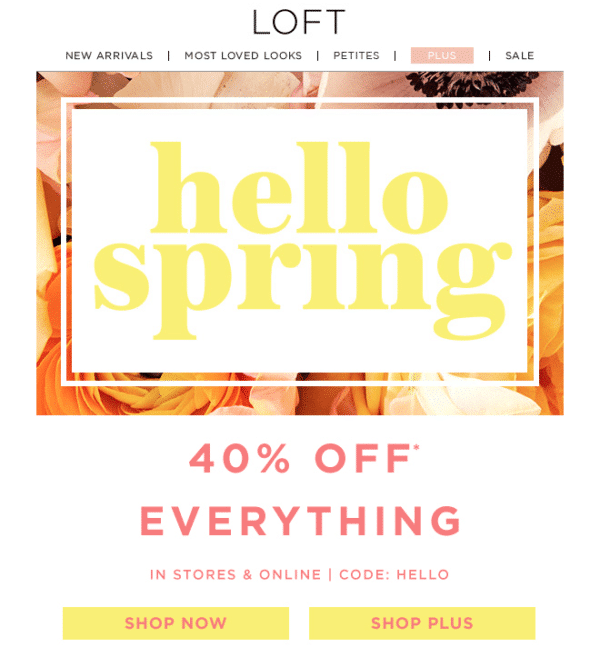 The “Hello Spring” text immediately grabs your attention while the “Shop Now” and “Shop Plus” buttons clearly guide you to the next step. Just like you test specific elements on your website, it’s important to test your email design and copy as well. This is how you’re going to find out what gets the best response from your audience. Test things like CTA button color, text, overall design and subject line to find out what your customers are most likely to click on. If you’re looking for more guidance with A/B testing, we specifically like this helpful checklist from Hubspot. A high click-through rate doesn’t just happen. It requires you to hone in on every element of your email. Thankfully, the path to get there is relatively simple. Once you nail down these five steps, you’re well on your way to increased email engagement and sales. What are some other practices that have helped improve your click-through rate? Be sure to comment below!